Potatoes are very popular and the number one vegetable crop in the world. Potatoes are best known for their carbohydrate content. It also contains Vitamin A, Vitamin C, Vitamin B6, copper, potassium, manganese, and dietary fiber. Studies show that potatoes contain chemicals which lower blood pressure. It also contains glutathione, an antioxidant that may help protect against cancer. It improves the immune system and bowel health. Unfortunately, when it is cooked with lots of fat items like butter, cheese, cream, it will not only lose all the above benefits but also lead to the risk of diabetes, heart disease and obesity. To get all the benefits of potato, cook wisely. 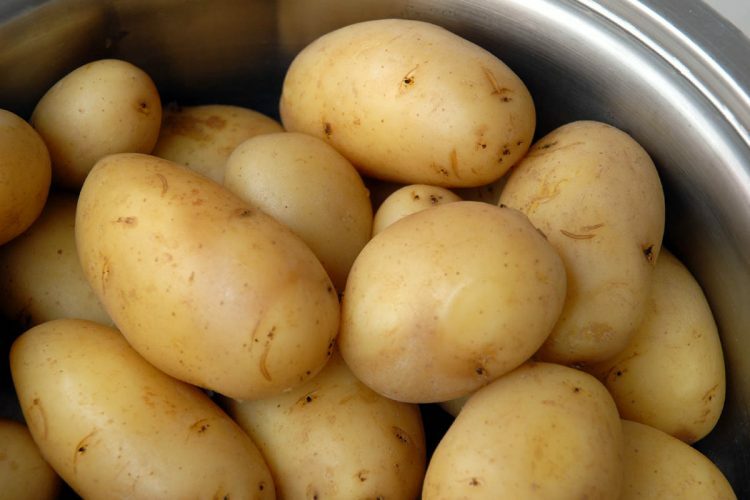 Boiling potatoes may preserve the health benefits better than deep frying. The peel stores good amounts of potassium and vitamin A. So, boil the potatoes always with their skin. If you want to scrub them before cooking, scrub it gently.